It costs $25 and comes with four figures. 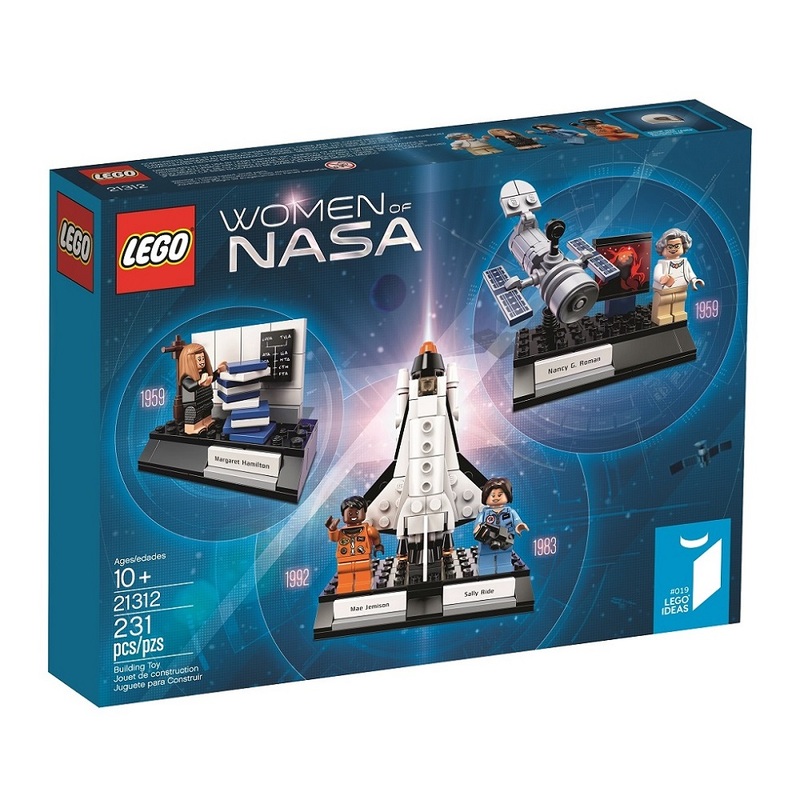 Back in March, we reported that Lego would make a "Women of NASA" set, which was submitted to the Lego Ideas competition by MIT deputy news editor Maia Weinstock. Now, the set is finally ready. It will be available November 1st for $25/€25. The set contains four different figures: Sally Ride, the first American woman in space, and Mae Jemison, the first woman of color in space. Margaret Hamilton, who led the team that developed the software for NASA's Apollo missions, is also included. Rounding out the list is Nancy Grace Roman, who helped bring the vision of the Hubble Space Telescope to life. Katherine Johnson, who was become a household name thanks to the book and movie Hidden Figures was also included in Weinstock's original pitch, but is apparently not included in the final set. We've reached out to Lego for a comment, but TechCrunch reports that there were problems gaining approval from Johnson and her family at the time the set was being planned. It's always nice to see some of the well-known female figures in our space program being celebrated, especially those who aren't necessarily household names. This seems like a pretty good way to honor their contributions to the US space program.